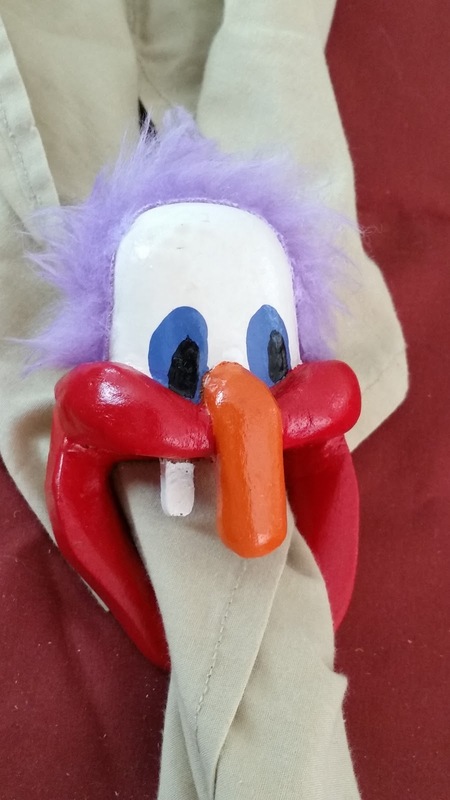 The same basic design as Snag-Tooth Charlie but as a clown. Carved from maple and painted with craft paints. Sealed with poly and when dry, the fake fur hair glued on.